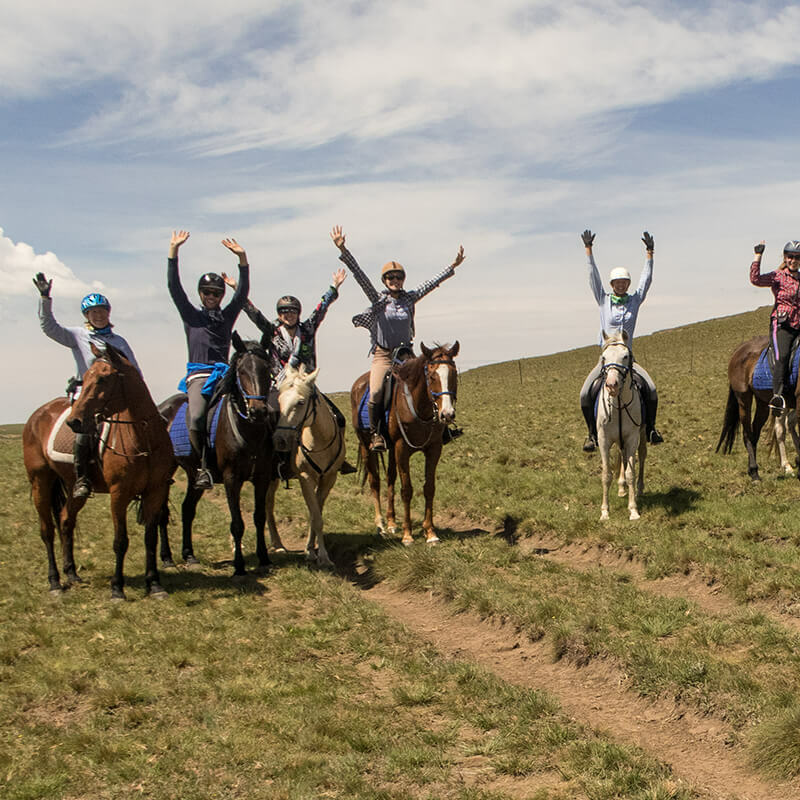 The multi-day trails are for experienced riders only, consisting of groups of 4 – 6 riders. 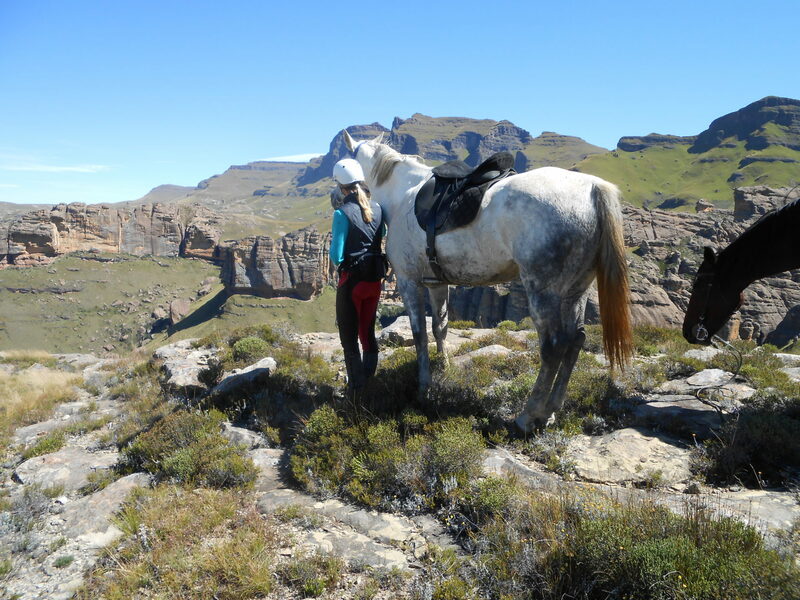 The objective is to offer our clients an exciting day in the saddle with varying terrain, negotiating steep mountain passes and enjoying long canters, all the while enjoying the breath-taking scenery of the Southern Drakensberg, a UNESCO World Heritage Site. 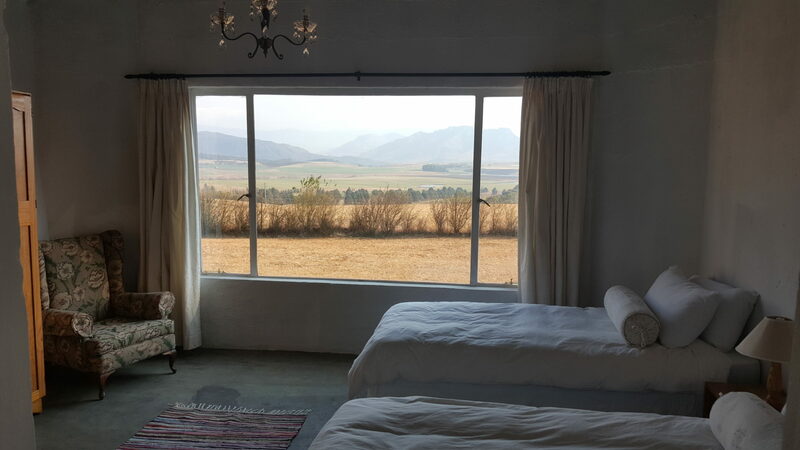 Our luggage, food and drink is transported by our support vehicle and each night is spent at various guest lodges en-route, where the emphasis is on comfort, with hearty meals and good South African wines. 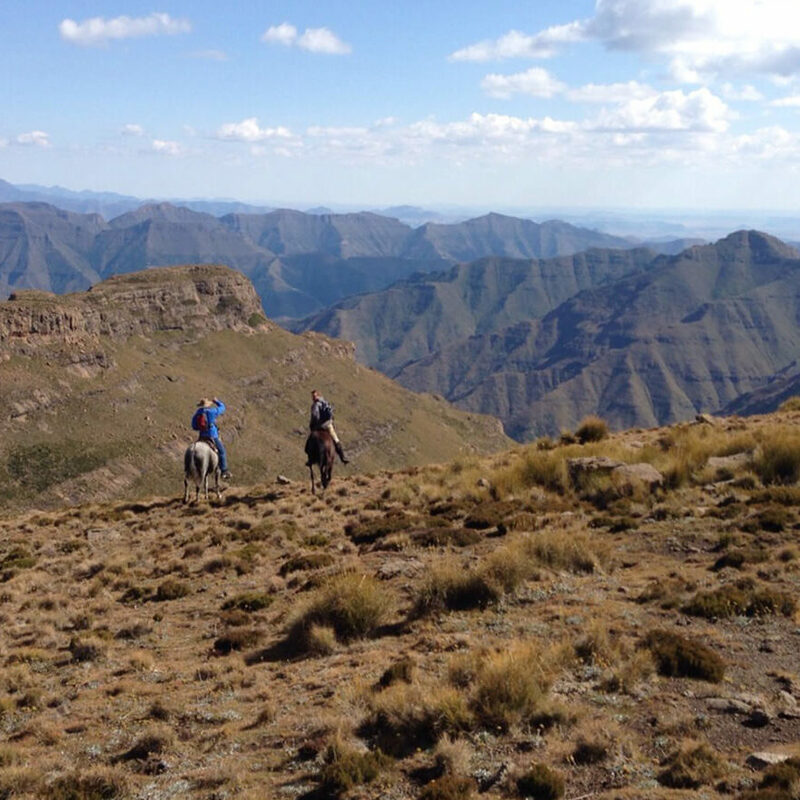 Our target market is adventurous and discerning Equestrians that enjoy seeing the world from the back of a horse, but wanting comfort at the end of the day. 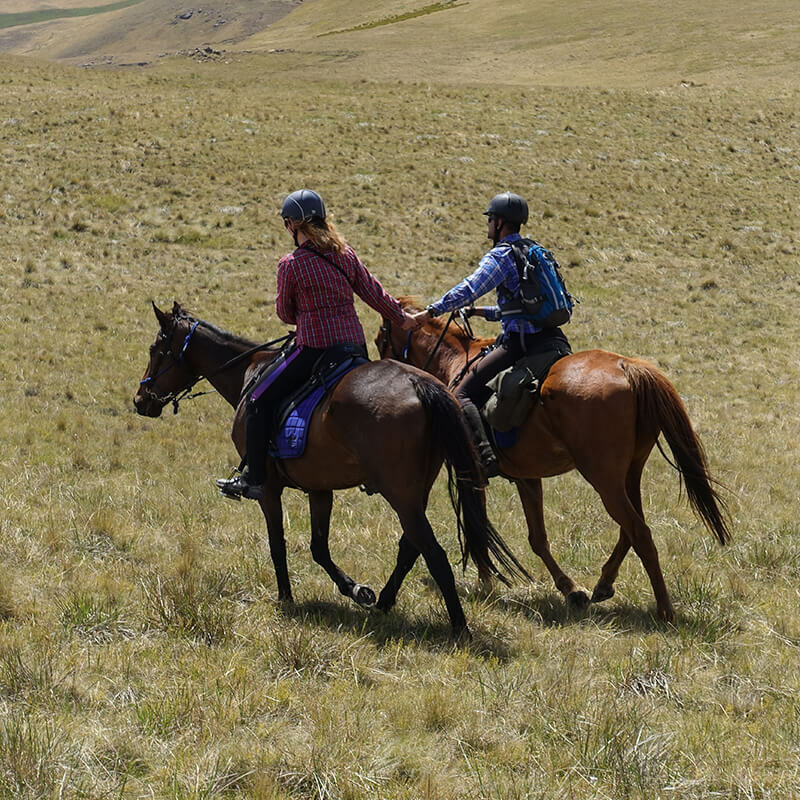 PLEASE NOTE: Multi-day trails should be booked at least 8 weeks in advance. 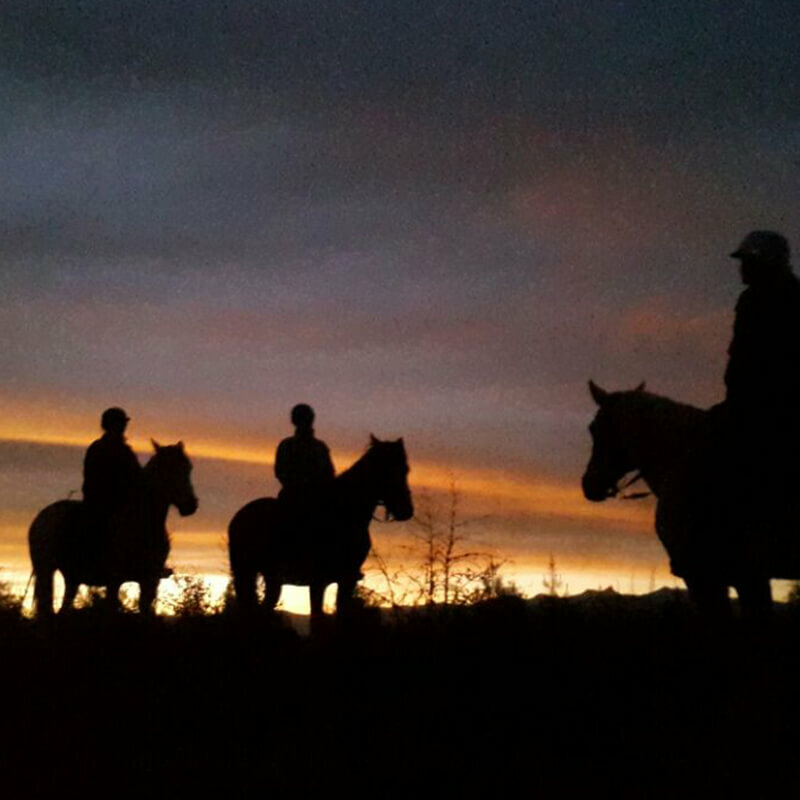 If you have a special occasion that you would like to celebrate, why not do it on horseback! 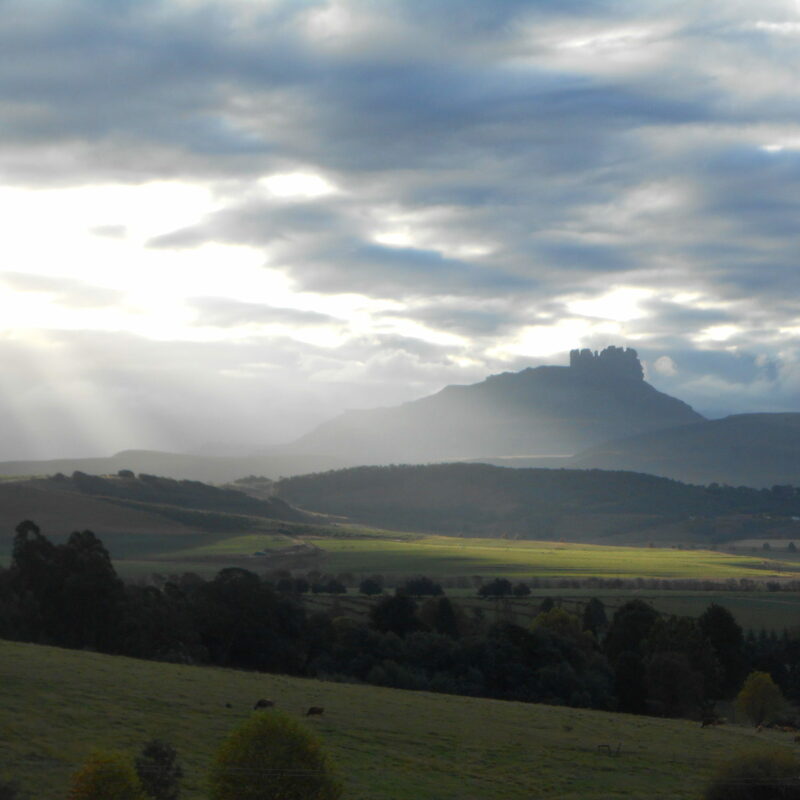 Dragons Landing Guest Farm is situated in the Bushmans Nek area of Underberg. It’s a small 40 Hectare farm, completely off the grid and runs on solar power. 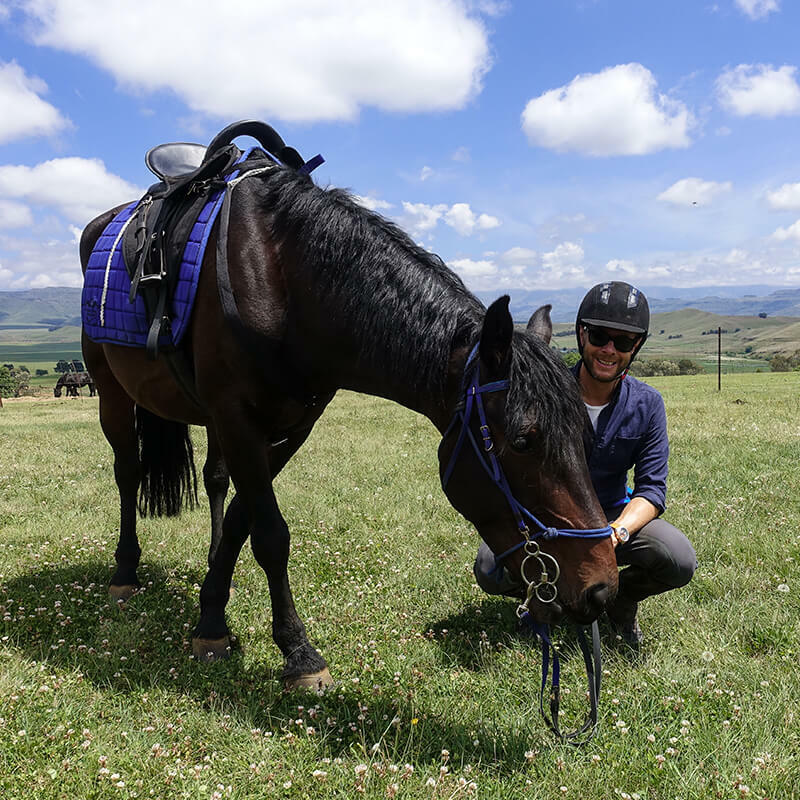 If you are looking for comfortable, rustic, farm accommodation away from the big city lights with uninterrupted views of the Southern Drakensberg, Dragons Landing is definitely for you!